At Fulshear Dental, our primary goal for every patient is to help them preserve all of their natural teeth for as long as possible, because no teeth are as strong as the ones you’re born with. Unfortunately, in cases of extreme dental decay or trauma, sometimes the best thing to do is simply remove a problem tooth. This is only used as a last resort, and Dr. Fifadara takes every step to ensure her patients stay completely comfortable during the entire process. Why Choose Fulshear Dental for Tooth Extractions? A cavity has damaged more than 2/3rds of a tooth. A tooth is so broken that it cannot be successfully reassembled with restorative support. 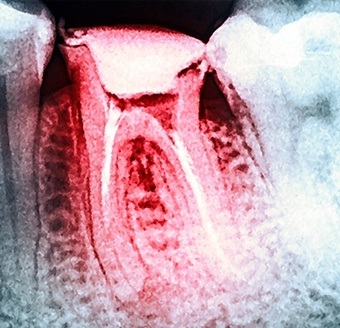 The underlying bone supporting a tooth has been weakened by an infection or trauma. More room needs to be created in the mouth for a denture or orthodontic treatment. A stubborn baby tooth is blocking the path of an incoming adult tooth.